During the month of November, Mary Hogan Elementary School continued hosting its monthly taste tests, this time featuring Vermont’s Harvest of the Month, sweet potatoes. The morning of the taste test Katelyn Jaring, Mary Hogan’s head cook with the Abbey Group, along with the rest of the food service team, and a NOM volunteer prepared enough curried sweet potatoes to serve around 300 samples. During each lunch period NOM volunteers distributed sweet potato samples and students recorded their reactions on taste test ballots. 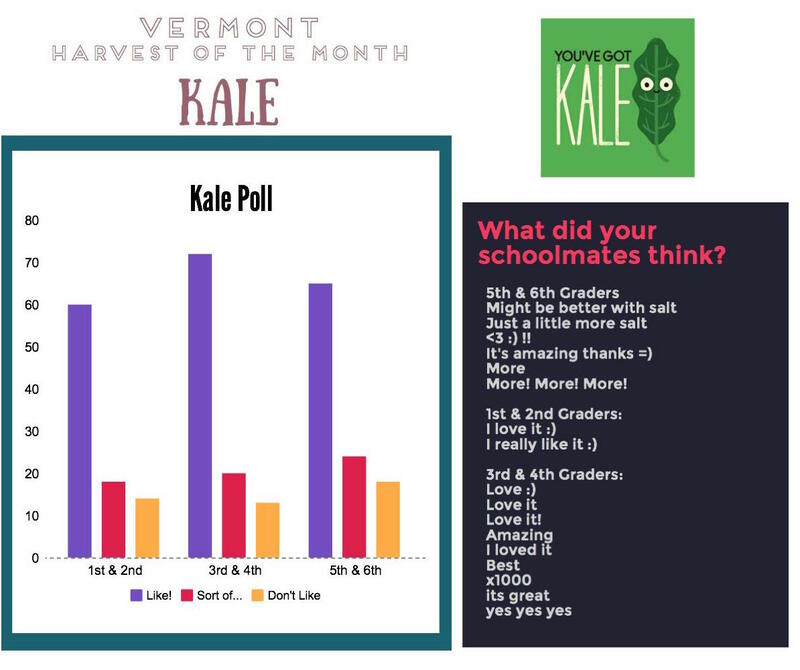 The ballots invited students to rate the sweet potatoes: “Like!”, “Sort of…” or “Don’t like”. This time around there were more mixed reactions to the harvest sample. Some students were confused by the idea of potatoes being served cold and for some the curry seasoning was a new experience. On the whole most students were happy to try a new vegetable or, if they were familiar with sweet potatoes then a new recipe. 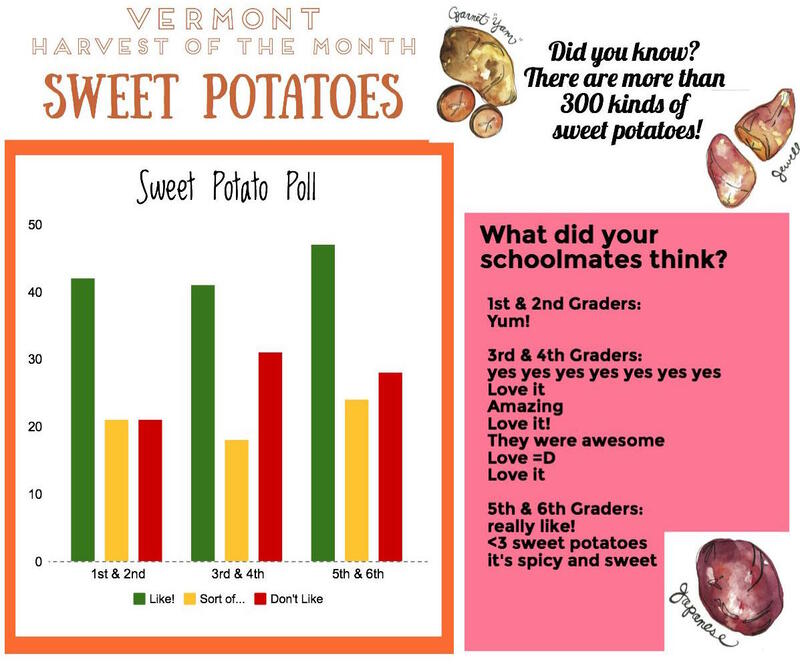 Overall, 48% of the students responded that they liked the sweet potato samples, 23% sort of liked the samples, and 29% did not like the sweet potato samples. Students comments ranged from an observation that the samples were “spicy and sweet”, to “these are amazing” and “I really like them”! If you are interested in trying more sweet potato recipes check out the Harvest of the Month website for ideas: http://www.vermontharvestofthemonth.org/november–sweet-potatoes.html. Mary Hogan students really enjoyed the kale taste test! 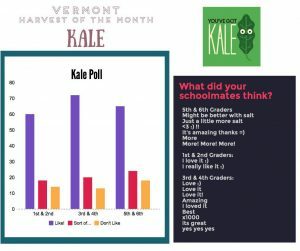 Principal Buzzell reported to us that since the event Mary Hogan hasn’t been able to keep enough kale chips on the salad bar because the kids are eating them up. We are looking forward to continuing our taste tests in 2017!